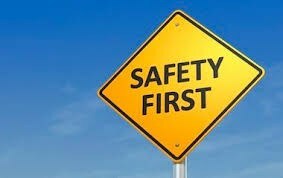 Safety has always been and will always be top priority at Newton County Schools. Every day students and staff review goals for a successful day through each campus’ Positive Behavioral Interventions and Supports initiative, inclusive of a safe school component. We understand in light of the Florida tragedy there has been much concern about school safety. While it is beyond comprehension and heartbreaking, let’s do what the NC Family knows to do and keep our fellow Americans in Florida in our thoughts and prayers. We take all threats seriously and will respond to them immediately and appropriately. Parents, please take the time to have a conversation with your students about the seriousness of making threats and the importance of reporting to school staff members any threats made against students or school staff members. If we work together as the Cougar family, we can better ensure the safety, security, and prosperity of our schools.